Lowdown: A man assumes a new identity to escape from his life and adopts a similarly inclined woman on his way. 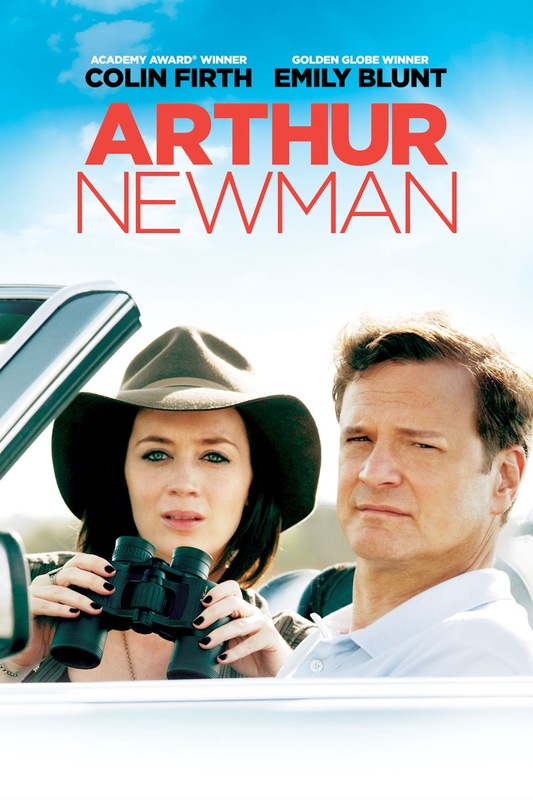 There are many strange things about 2012's Arthur Newman, starting from the casting of two Brits - Colin Firth and Emily Blunt - to play uniquely American characters. Then again, as he showed in A Single Man, Firth seems to specialise in the particular genre of the melancholy that Arthur Newman boasts. Arthur Newman is a construct invented by Firth's character as a way to escape his life. A divorcee with a son that doesn't care for him, he decides to leave his career at FedEx and his girlfriend (Anne Heche) and starts afresh. So, as one does, he fakes his death and assumes a new persona - that of professional golfer Arthur Newman. A strange character such as Newman needs a strange character by his side, which is where Blunt comes in. Hers is a con's character whom Newman fancies (no wonder) and who, through this and that, finds herself accompanying Newman on his journey. And what a journey it is: it takes us a while to learn its purpose, yet on the other hand it exposes the characters before us. We learn, for example, that our two lead characters have a lot in common through the process of them trying out the lives of various people they encounter along their path. In parallel, the estranged son and the grieving girlfriend learn about the space filled by Arthur's former self in their life. In case you find my description strange, I would have to agree. As I said, this is a rather strange affair, even if it pales in comparison to the portrayal of the relationship between these two characters, considering there is a 23 years gap between Firth and Blunt. Eventually there is a message popping out of all the weirdness, as Arthur Newman tries to tell us we belong exactly where we're at and that the fantasy of living someone else's life is likely to be a let down. Or rather: revel in your life. Overall: Arthur Newman packs an interesting message, but its way of getting there proved rather too eccentric and often illogical for me to happily accept. 2.5 out of 5 crabs.